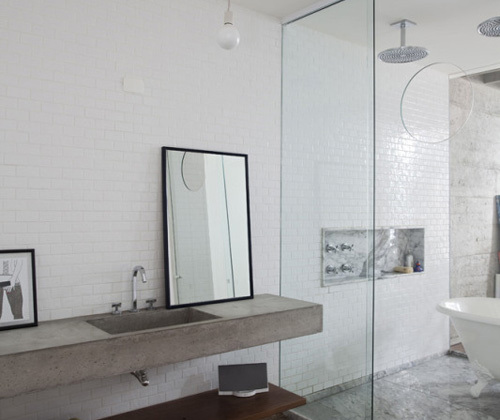 This is a great example of the type of bathrooms I have in mind for our home in London and France….What do you think? For me it looks perfect, simple, light, very sophisticated, I can’t wait to see your version of it. Hugs! i think it’s great. i love the sense of space and the recess in the shower. Love it – Thats just me! Love the beton sink – so cool yet stylish. A perfectly balanced mix of shiny and dull, old and new, natural colour and monotone. yep, all up a nice solution!